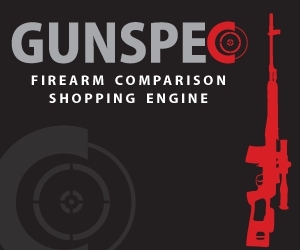 KINGSTON, NY (July 2012) – GunSpec, a shopping comparison site for the firearms industry, has stepped up its commitment to providing online services for retailers and firearms enthusiasts in light of recent changes of policy by one of the largest search engines in the world. Through the new policy, firearms retailers must comply with the rules that include pay-for-position and the elimination of any products that appear on the list of prohibited products to include “guns, ammunition and knives.” Aware of the serious implications for retailers, GunSpec is currently developing new programs that will allow displaced retailers to set their own budgets, bid on search product placement and provide them with additional brand exposure for their stores. The GunLink website has numerous facets, most of which have been added due to feedback from visitors as the site has grown. In addition to a blog with firearms news, product reviews, event coverage and more, GunLink offers forums for general discussion (firearms related or otherwise), user generated reviews, a Second Amendment grassroots meeting place and more. We are currently working on re-seller programs for firearms related software and other products and, again based on visitor feedback, are considering the addition of a classified ads section for firearms and accessories. With all of these more recent additions, we don’t want to forget the single purpose for which GunLink was created; the feature from which our site takes its name. GunLink started out as a business directory for firearms related businesses. Basically, a link to guns …hence the GunLink moniker. Alright, we’ve got ads on the blog now. Our advertisers should be happy. We’ve also tried to keep them as unobtrusive (for those of you in Rio Linda – that means they’re out of the way) as possible, so readers should be happy too. We’re just trying this out temporarily for now, so they may not be there for long. We will be working various options as we get the ball rolling on this new site feature, so don’t be surprised if you see some things changing. As usual, we’d love to hear feedback on our progress.